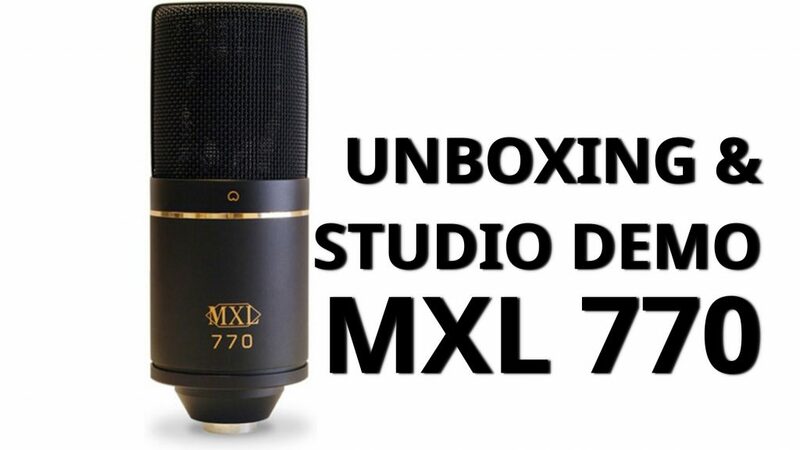 The MXL770 Studio Condenser is a very budget friendly yet high quality studio condenser microphone made by Marshall. It is a perfect microphone for those recording at home – it’s suitable for recording acoustic instruments like an acoustic guitar, as well as electric instruments and vocals. So – I turned 50 the other day and my wife gave me a few very nice presents! One of them is this MXL770 studio condenser microphone. My favorite studio condenser, a McCrypt condenser microphone, is having issues after having been in use for over 20 years. So – time to replace it. This is a great replacement. In fact, I think it’s a very good upgrade. While the McCrypt was most certainly a great mic, this one is even better. In the video there’s a test recording using my acoustic Washburn guitar and some vocal. Both are ‘dry sound’, no processing done. In the end of the video there’s a mixdown of the track I recorded. The microphone was ordered online at Thomann (Germany). Solid Rock Blues Band hits the charts at Drooble!